Click the button below to add the Pet Memorial Tree Urn - Oak Tree to your wish list. The Oak tree has always been looked upon as the most solid and respected of all trees, with its unusual scalloped leaves and hat top seeds (acorns). The oak starts strong with a thick deep root system that digs into the earth, stabilizing the broad trunk that will shoot forth. It is marked by low, heavy branches that children grow up climbing and building tree houses on while wondering over the kaleidoscopic display that overwhelms the senses. When those vividly colored leaves start to shed, they delight the eye with dancing displays of color, riding the breezes and covering the ground in softly cushioned layers, inviting more play and excitement. The mighty Oak is truly a tree that is perfect for remembering a caring and beloved pet who delighted in the music of children’s laughter. These biodegradable pet cremation urns contain an unique mix that aids in the release of beneficial plant nutrients, which are found in cremated ashes. By themselves, ashes are harmful to plants’ health and well-being. However, by planting our memorial tree urns with your loved one’s cremated ashes, you cultivate a mixture that nourishes and sustains your memorial tree. The urn planter comes inside a beautiful keepsake tin, which can be used after planting the tree as a keepsake memorial chest for collars, pet toys, photos, and more. 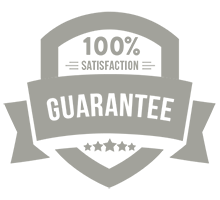 For more detailed info, see our article "What Size Urn Should I Get?" Our memorial tree cremation urns allow you to "plant" a small amount of your loved one's ashes and grow a beautiful memorial tree to honor their memory. 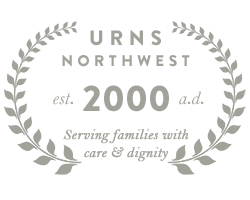 Available here from Urns Northwest: http://urnsnw.com/memorial-tree-urns/ Here we show an unboxing of the memorial tree urn, just as you will receive it at your doorstep.